ORANGE, Calif. (Oct. 17, 2017)—American Advisors Group(AAG),the nation’s leading reverse mortgage lender,proudly announced today that its headquarters has been selected as a 2017 Civic 50 Orange County honoree. AAG, along with other community-minded companies, was recognized during a luncheon on Oct. 19 at Hotel Irvine. 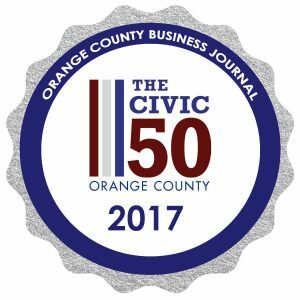 The Civic 50 Orange County, presented by the Orange County Business Journal in partnership with OneOC and Points of Light, honors the top 50 regional workplaces of all sizes for their superior corporate citizenship. The award focuses on those companies that use their time, skills and other resources to improve the quality of life in the communities where they do business. 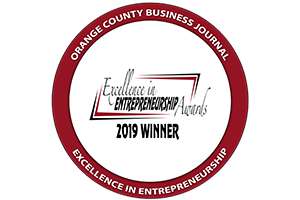 AAG was selected in the large-company category based on OneOC’s four dimensions for community engagement: investment, integration, institutionalization, and impact. AAG’s charitable efforts are led by the AAG Foundation and focus on three areas of giving: supporting the fight against hunger and isolation of older Americans; aiding victims of human trafficking; and providing care for AAG employees. Through the AAG Foundation, the company makes regular community contributions by giving employees Volunteer-Time-Off, making cash donations, and hosting fundraising events, like the company Spelling Bee, Chili Cook-off and Comedy Night. In 2016, AAG employees clocked more than 700 volunteer hours delivering food to and conducting safety checks for seniors through Meals on Wheels, in addition to hosting events at the Orange Senior Center. 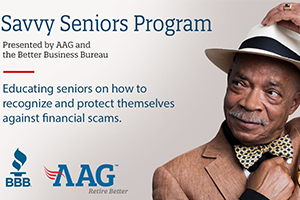 According to the National Council on Aging, in 2016 over 25 million Americans aged 60 years and older were living below the federal poverty line, which significantly impacts their ability to fund common household costs, medical bills, among other needs. FHA-insured Home Equity Conversion Mortgages (HECMs) – commonly referred to as reverse mortgage loans – are specifically designed to help older Americans sustain or improve their quality of life in their retirement years.